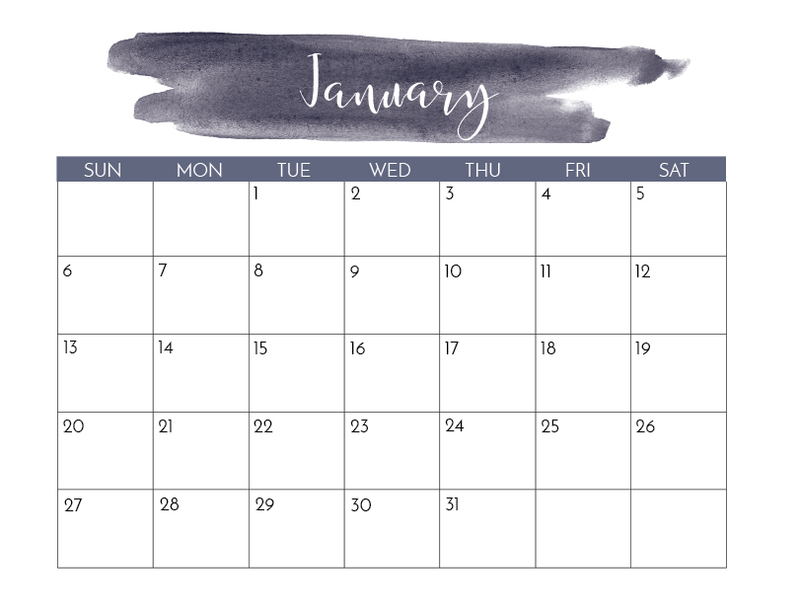 I always have the best intentions of making a new pretty printable calendar before the start of a new year. And this year I finally did it! 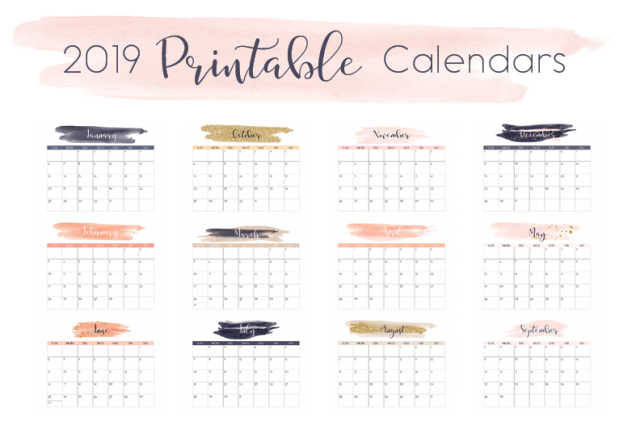 You can download the PDF for the whole Navey and Blush 2019 Printable Calendar below. Then print it as 8.5 x 11 sheets from your home printer. 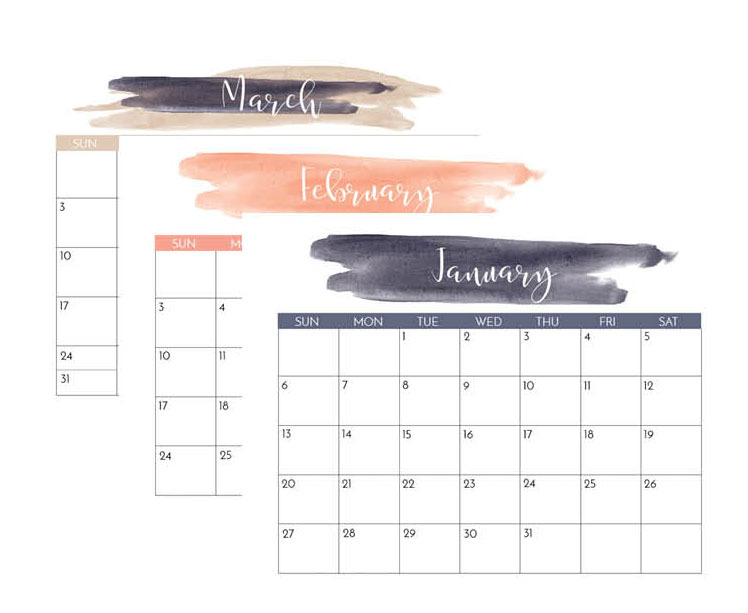 These blue and pink watercolor swashes were so pretty, so I knew I wanted to create a whole calendar theme around them. The calendars can be used for menu planning, remembering birthdays, tracking goals, or whatever else you like. Some Office Depot locations will still print these out as blueprints – other locations have stopped. So you can try it if you want a large wall calendar, but they might tell you no. Hi!!! i would love a copy of the calendar!!! so pretty!! Loved your creativity that’s reflected in calendars here, so cute calendars. Loved it. Thanks for the collection.